From content consumption to content creation, there are many ways to use mobile devices with students. They can create how-to videos for authentic audiences, explain their thinking through screencasting, or use scannable technology in the math classroom, for example. Mobile devices can also be used to help students practice foundational math skills and build their math fluency. You might decide to use an app on this list as part of an intervention plan or add it to a newsletter for families. In order for students to tackle the multistep word problems they’ll be asked to solve as early as elementary school, they need to have mastered addition, subtraction, and multiplication facts. If they can answer 4 + 12, 15 - 5, 9 x 7, and 18 ÷ 3 quickly and accurately, students can focus on reading word problems to figure out what those questions are asking them to do and apply their knowledge to real-world situations. 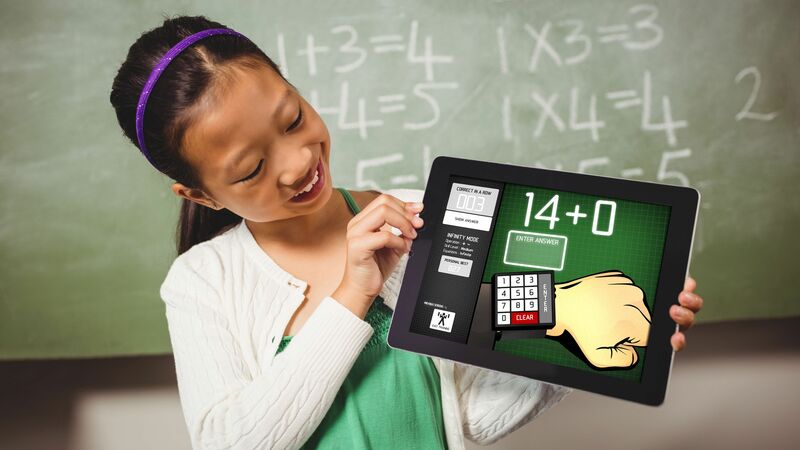 There are tons of fun apps that help children build their math fluency through games and manipulatives. Check out some of these fantastic math tools available as mobile apps (for iOS or Android) and web apps (for any web browser). Quick Math - Arithmetic & Times Tables (iOS $1.99) With this app, kids answer traditional skill-and-drill questions—but they don’t have to enter answers using a keypad. Instead, they can write the answer anywhere on the screen of their device, and the app reads their handwriting and records their response. Whether I’m leading a professional development session or having a casual conversation with a fellow educator, I often use the phrase “tasks before apps.” As you explore the tools on this list, make sure you’ve identified your learning objectives and think about which tools will help students achieve those goals.